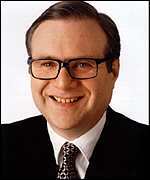 Portland is still trying to figure out Paul Allen’s dramatic act of public relations seppaku. Did he actually believe that a cash strapped and cranky city would offer financial assistance to a losing team with a history of civic embarrassment midway through its worst season ever? Or was it part of a larger strategy with an endgame visible only to him? Does he want to sell the team? Does he want to buy back the Rose Garden? Whatever his motivations, the actual explanation for his actions is far more cryptic and sinister. Paul Allen’s plea for public money is just the latest manifestation of a sports curse of particular power and malevolence. Is there anything more terrifying for its random application and sheer reach than a sports curse? In game 4 of the 1945 World Series, Chicago tavern owner William Sianis bought two tickets, one for him and one for his pet goat, to watch the Chicago Cubs play the Detroit Tigers in Wrigley Field. It was a fine outing for man and goat until they were ejected by order of Cubs owner Philip Knight Wrigley. Mr. Sianis was outraged. He and his goat were crowd favorites. As he was lead from the ballpark he placed a curse on the Chicago Cubs: They would never win another pennant or play in a World Series in Wrigley Field again. 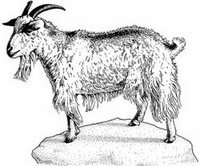 Thus was born the Billy Goat Curse. 1) The punishment is disproportionate to the crime. 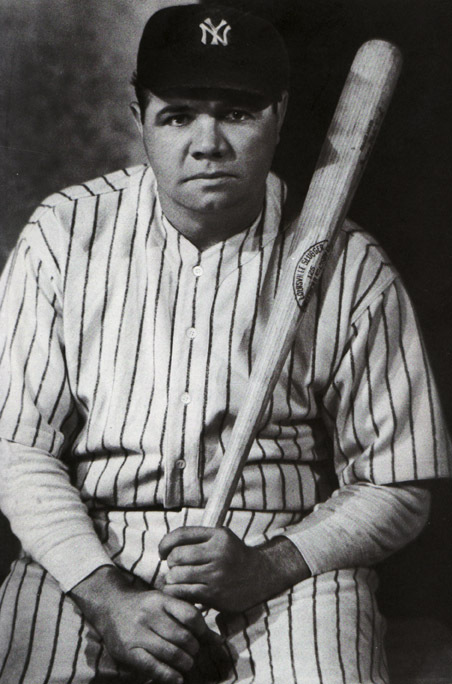 Trade Babe Ruth to the Yankees? That will get you eighty-four years. 2) A sports curse will last decades, perhaps generations. It can be either be placed (Billy Goat) or self-generated (Bambino). 3) The curse feeds on sacrificial hearts. Salvation is dangled tantalizingly close, then cruelly snatched away (breaking the hearts of fans). In the Curse of the Bambino, there was Bill Buckner’s infamous error where a two run, two out, World Series lead was lost as a ball rolled between his legs. The deflected foul off of fan Steve Bartman in the 2003 playoffs in Wrigley Field is the Billy Goat equivalent. 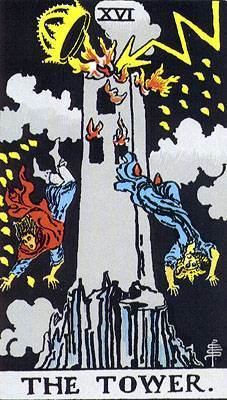 4) The curse must run its course. There is no appeal. There are no short cuts. Blowing up the Chicago foul ball changes nothing. A curse is over when it is over. 5) At the root of every curse is an act of betrayal. What did it all mean? No one could say, but everybody knew. In this era of sackcloth & ashes, it behooves us to ask, where did it all go wrong? At what moment did the balance tip? What small pebble of transgression lead to the avalanche of woe? At what point did the Trail Blazers become cursed? 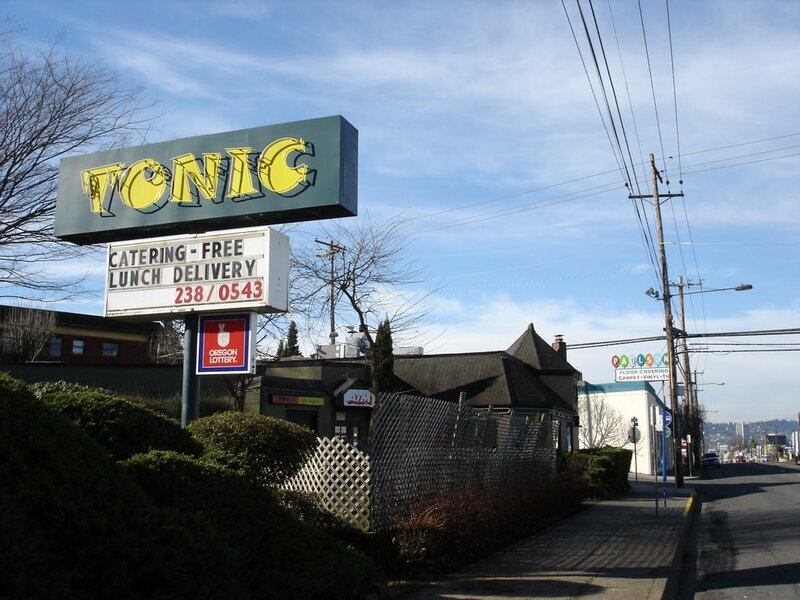 In 1991, a new venture opened at 3100 NE Sandy, the Rip City Diner. It seems odd, even quaint now that a business would choose a name so associated with the Portland Trail Blazers. Today’s Blazers would probably react to it like a lost man in a desert to a glass of water, but the front office of 1991 responded in a very different way. They threatened to sue. 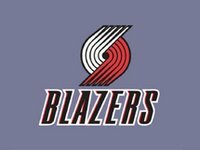 Siting trademark protection, they demanded the restaurant and a small T-shirt company to cease using the Rip City name. The reaction in Portland was instantaneous and unanimous. To use a term now very familiar, the fans were up in arms. A corporate bully was coming down on the little guy. "Of course you may wonder why a multimillioin-dollar enterprise like the Trail Blazers is going around stamping out fans as if they were just a bunch of annoying bugs. But, hey, business is business." They didn’t even have a good case. The argument; that the phrases “Rip City” and “Red Hot N’ Rollin’ ”were common law trademarks was murky at best. And the controversy could not have come at a worse time. The Blazers were in a Western Conference championship series against the LA Lakers. They were also at the beginning of negotiations with the city for a new and larger arena. At the moment the civically cautious citizens of Portland were being asked to pony up money to replace Memorial Coliseum, the team chose to act like a big-market stranger. For over a week, newspapers, radio and television took turns taking swings at the story. Finally the team backed down. 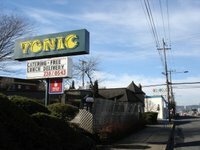 "I did not realize that Portland was so full of common people who know a rip-off when they see it." -Ron Amstrong, owner of the Rip City Diner. But the damage had been done. The team had asserted they owned what than fans had believed that they had shared. From that point on, things would never be quite the same. Thus began the Curse. The venom was slow spreading but exponential in its progress. The following year the Blazers lost to the Chicago Bulls in the finals. Within two years Rick Adelmen would be fired as head coach, by that time the hugely popular early nineties team was largely dismantled. 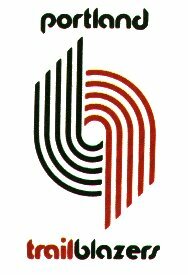 On July 12,1994, a black day for Portland sports, “Trader Bob” Whitsett was hired as the Blazers President and General Manager. In 1995 the Rose Garden was completed but the promised thriving commercial district to accompany it was no where to be seen. On November 20th 1995 the sell out streak ended after 814 games. Shortly thereafter Rasheed “Cut the Check” Wallace joined the team. Isaiah Rider ushered in the beginning of the “Jail Blazer” era in with his 1996 acquisition. The following year, he would be suspended by the NBA three games for spitting on a fan in Detroit. Then, in a extremely ill advised affront to the faithful, Bill Shonely was replaced by Brian Wheeler as the Blazers radio play by play announcer. Other teams (like the LA Lakers with Chick Hearn, and the Chicago Cubs with Harry Caray) kept their beloved long-time announcers for life, but not Portland. Thus “Bingo, Bango, Bongo!” gave way to “Boom-Shakalaka!” and the sound of radios being turned off statewide. June 4th 2000. The Blazers had trailed Lakers three games to one in the Western Conference finals. Incredibly they won the next two games to force a deciding game seven of the series. At the end of three quarters the Portland lead the Lakers 71 to 58, and were on the verge of becoming just the seventh team in NBA history to battle back from a 3-1 series deficit. Then, in the forth quarter, the Lakers went on a 15-0 shooting spree to knock out the Blazers 89-84. It was a stunning collapse. The Lakers went on to win the NBA championship. “In just ten magnificent minutes, the team that almost blew it all mounted the greatest forth quarter comeback ever in a game 7.” -Sports Illustrated. "We're not really going to worry about what the hell [the fans] think about us," Wells says. "They really don't matter to us. They can boo us every day, but they're still going to ask for our autographs if they see us on the street. That's why they're fans and we're NBA players. "- Bonzi Wells in Sports Illustrated. "And I want to be a new Bonzi. From this year on, I am going to make strides.” -Bonzi Wells, September 23 2003 in the Portland Tribune. Q: Did you flip off a fan, Bonzi? A: “I don't remember nothing like that, but if I did, I was probably wrong. But I don't remember doing nothing like that. I black out sometimes”. -Bonzi Wells, November 10 2003 in the Oregonian. Ruben Patterson was arrested for domestic assault, then Zach Randolf was suspended for punching Rubin Patterson in the face during practice. Rasheed Wallace was traded and instantly won a NBA Championship ring with the Detroit Pistons. The Oregon Arena Corporation declared bankruptcy February 8th 2004, and the Rose Garden was taken by a group of its creditors. The Curse took a particularly morbid and shameful turn when Qyntel Woods was waved by the team for participation in a dog fighting ring after being seen dumping a wounded dog off in an ally. Midway through the unspectacular 2004-2005 season coach Maurice Cheeks was fired. Cucina Cucina, the last of three restaurants in the Rose Quarter closed. Could an urban renewal district be far behind? Nate McMillan was hired from Seattle to coach the team, by all accounts a good move, but the team continued to lose. And lose. And lose. Sebastian Telfair, who the team was marketing as the second coming of Richie Cunningham gets a two game suspension for having a loaded gun on board the team plane. Finally, the owner, (a billionaire), asked the City of Portland (with a massive school budget shortfall) for financial assistance. This is a curse awe-inspiring in its scope and ferocity. Diagnosis is not a cure, but maybe this can serve as a cautionary tale. The non-superstitious will discount the very notion of a curse in a rational universe. Perhaps. But if sports curses do exist, it is hard to argue the Blazers are not under one, or that a shift in fortune can be traced to 1991, when the Portland Trail Blazers first bit the hand that fed them. I'm not into sports usually--and particularly not baseball or backetball--but this post was delightful reading and I really enjoyed it. Great work! I'm reading this here in Sacramento where billionaire owners the Maloof family are deadlocked on an arena deal that had been previously agreed upon (with the city contributing approximately $400 million), yet is still a principal issue of a county-wide ballot measure to approve a sales tax increase. Sports critics constantly compare the last decade of Kings success--especially the sellout streak (the NBA's longest currently)--to the Blazers from the Ramsay era to the Adelman era. Short of having our own Kings-related jargon give rise to restaurant names, I see certain parallels here, and I am forwarding your blogpost to the local sports/talk radio station here. On the fortunate side, one aspect of the Blazer downfall that isn't paralleled by the Kings is the citizenship of our players. Knock on wood...but Artest seems like an outstanding leader in a purple uniform, and even Bonzi Wells was admirable here for a year.